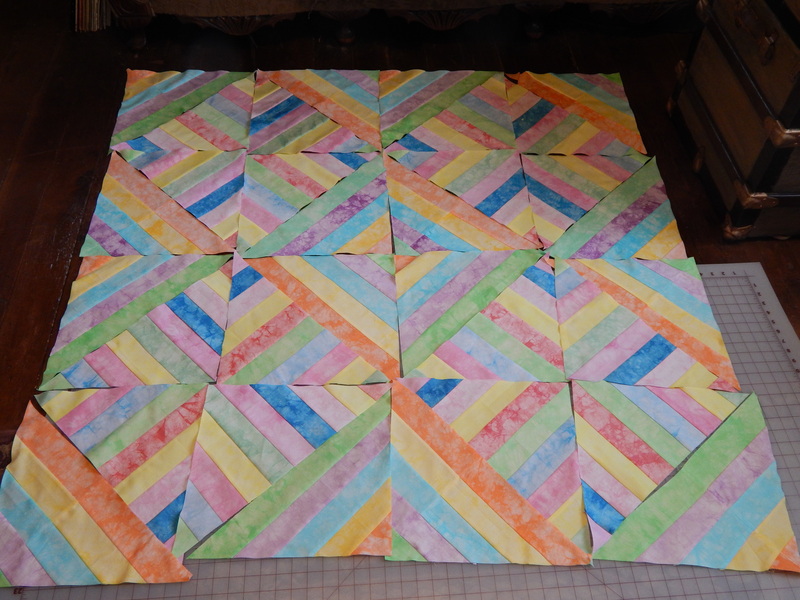 I am working on piecing the Pastel (Easter) Quilt that I started yesterday. 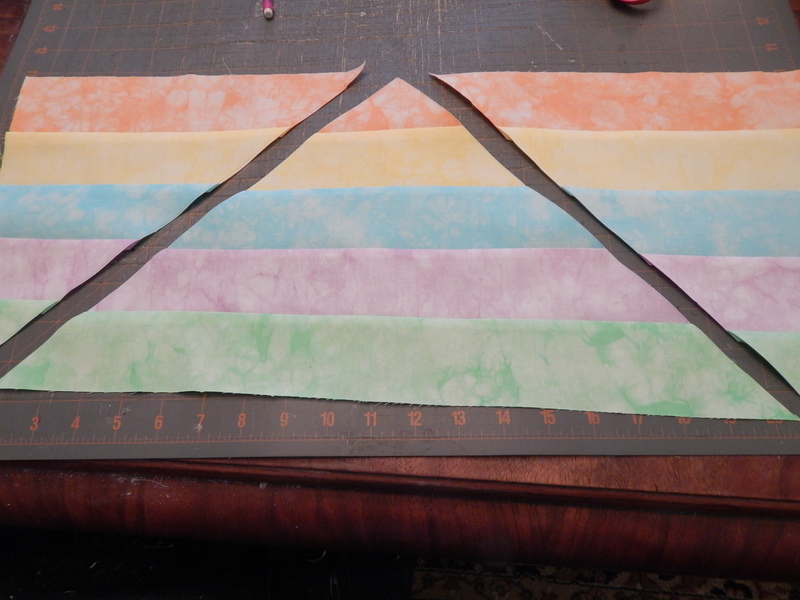 I am using strip sets cut from the fat quarters. I have 20 fat quarters so that will determine how many blocks I can make. the 2 center triangles are the correct size…there are 4 triangles at the corners…these are joined to make 2 more full sized triangles. the 2 half triangles on the sides are joined to make another full triangle. Here is the layout I am planning to use. I have a few more rows to add yet. then I need to sew them together and add the border. 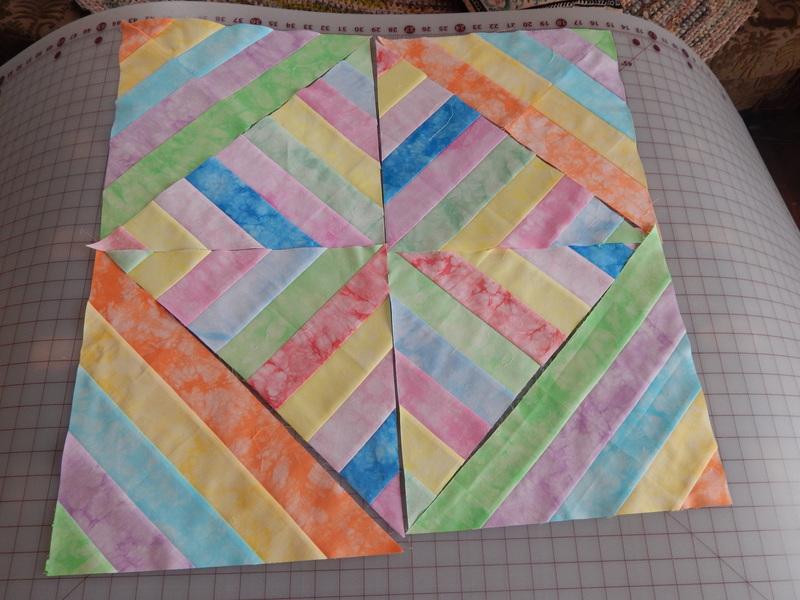 This entry was posted in Quilts and tagged Quilting, Quilts, strip piecing. 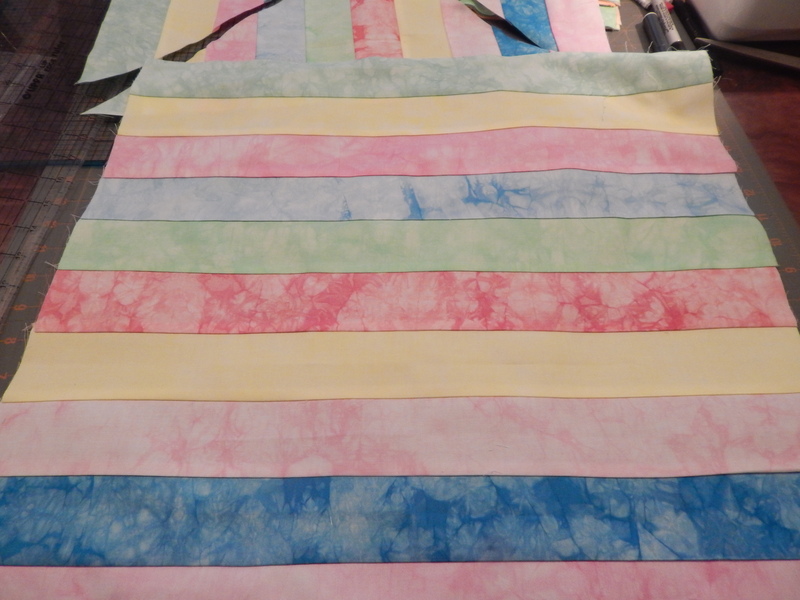 I bought the fabric at an AQS quilt show…2 packages of 10 fat quarters…so the choices were already made by the seller….next time I will post the sellers information so if anyone wants to buy the fabric that can. Only 35 or so days until Easter…..you can do it! I’m going to give it a try!! Look at the lovely I was blessed with;). 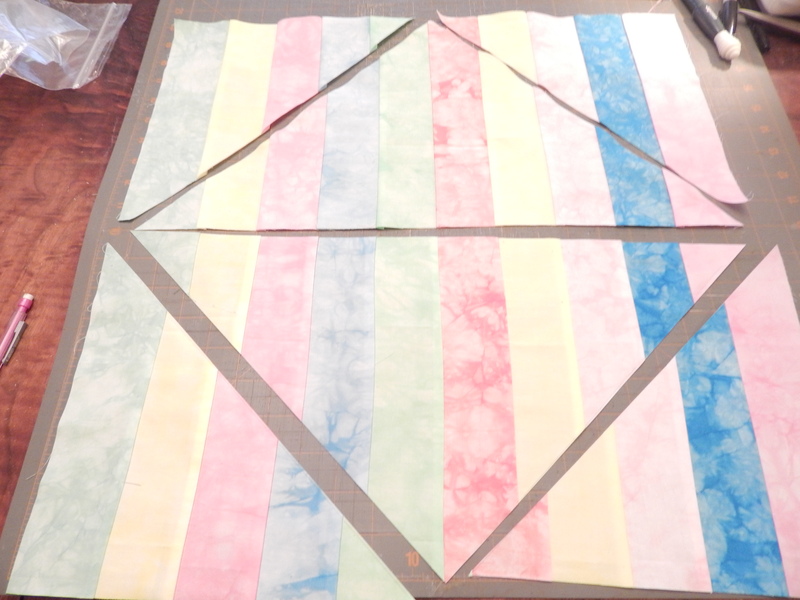 Three spot needed replaced and I found reverse appliqué the best method….so excited to get started quilting this. PS….taking your advice and washing when finished. 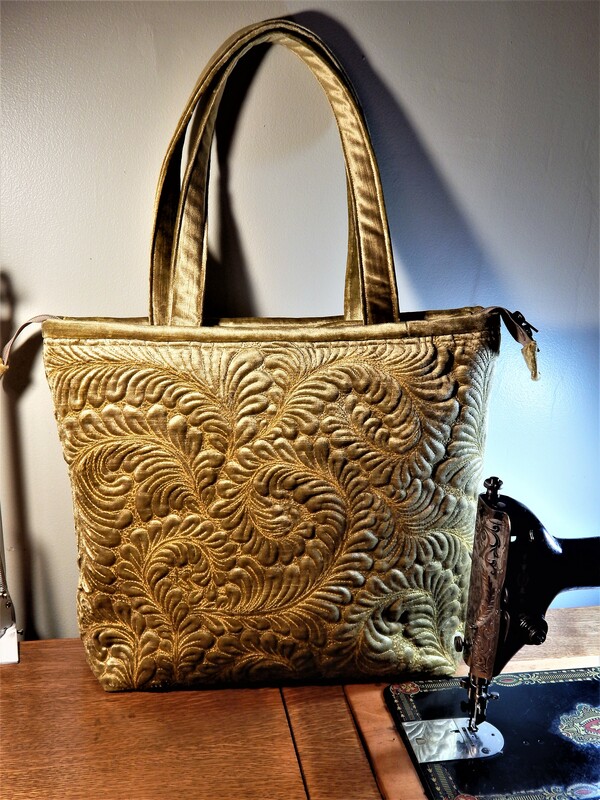 It was put together beautifully by hand…hand quilting. Hi LuAnn….I am not sure what I am supposed to look at…did you try to attach a picture? That’s going to be such a happy looking quilt. What are you thinking of for the border(s)? Lovely! It’ll be very striking. 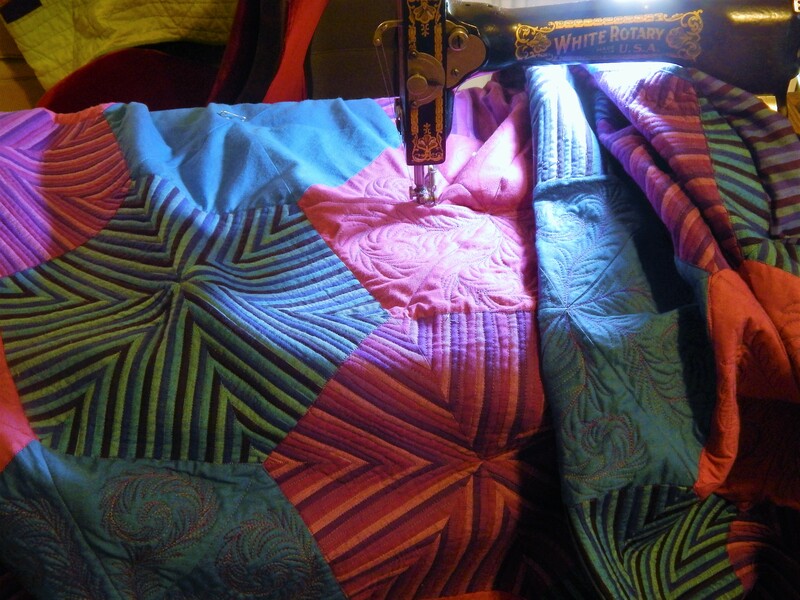 I am always amazed at how much quilting you get done. I finally finished a throw sized one I started last summer! well I am a fast quilter…but speed is not the important thing the most important thing is to enjoy it!! 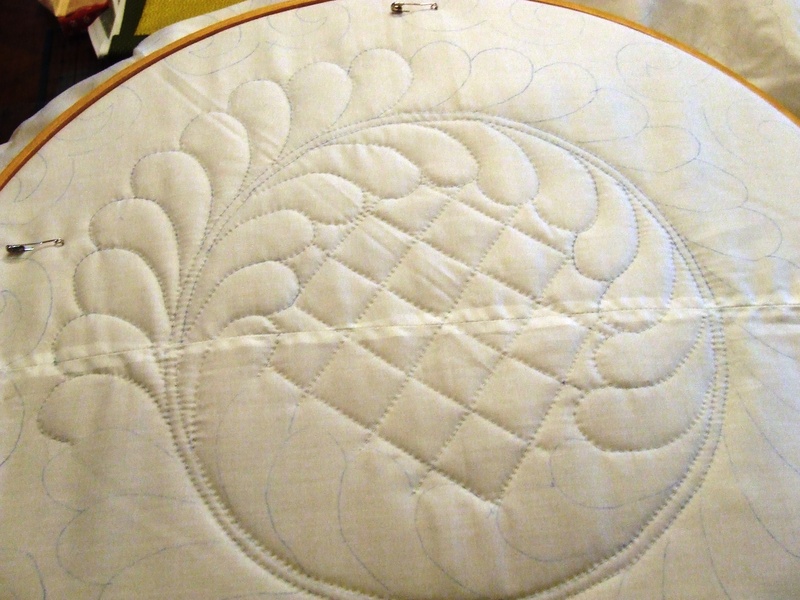 I love your quilting and I appreciate that you blog so often with so many pictures of your work and of Teddy! Coming here makes my Monday mornings delightful. Thanks Kathy…you made my Monday morning delightful!!!! Just saw you on quilt along with Pat Sloan. Can tell from your blog that you might be able to help me. I made a quilt in 2006 from a BOM at our local quilt shop. Finished the quilt & blocked it for our quilt guild quilt show. It looked great! When I turned it over one of the greens had stained the backing wherever each block with that green in it! 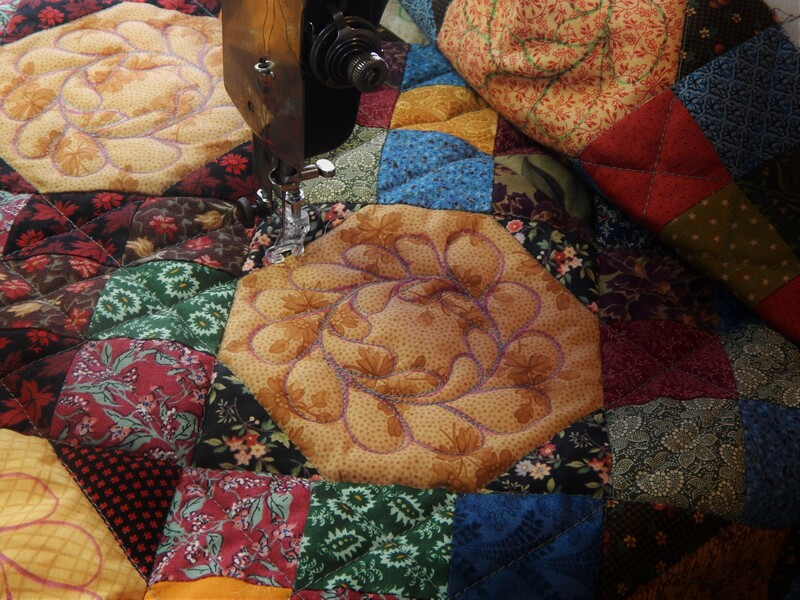 This quilt is machine quilted custom heirloom. I no longer have a place to block the quilt. Would it be fine to have it dry cleaned with spot treated for those places? Your thoughts please? !